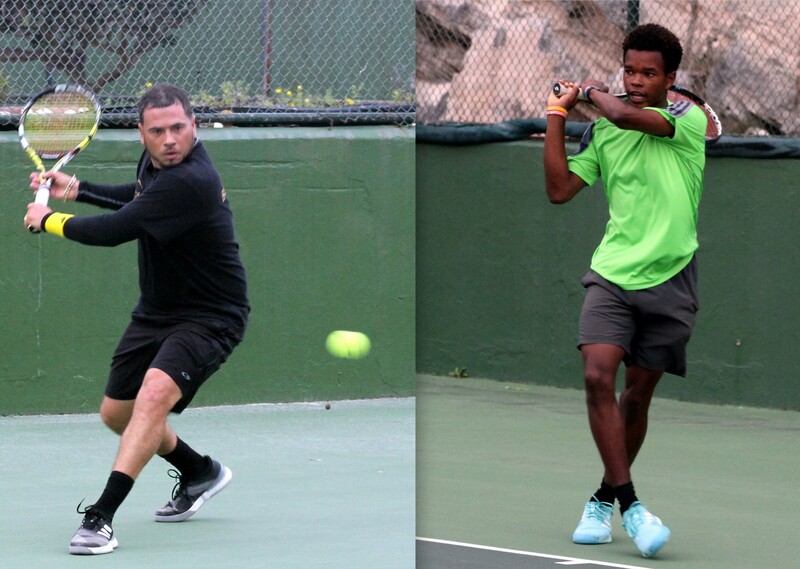 The Manders Tennis Management Easter Bowl continued with Semi-Final action taking place at the Fairmont Southampton Tennis Club. With the number one Singles spot on the line early in the season, Gavin Manders from the Fairmont Southampton and Neal Towlson from Coral Beach entered the tournament level on 400 points. At the end of the night, Manders would know he is the points leader, this after he defeated Sam Butler in straight sets 7-6, 7-5. Manders held a 4-1 lead in the first set, which saw Butler fight back to sending the set to a tie-breaker. The second set was just as entertaining with Manders able to hold off another strong Butler challenge to advance to the Final. Youngster Tariq Simons defeated Towlson in a big Three Set battle. Simons would win a see-saw first set 6-4, but Towlson would take advantage of unforced errors and some solid play to win the second set 6-1, the match would then be decided by a third and final set, which Simons was able to hold his nerve and win 6-4.